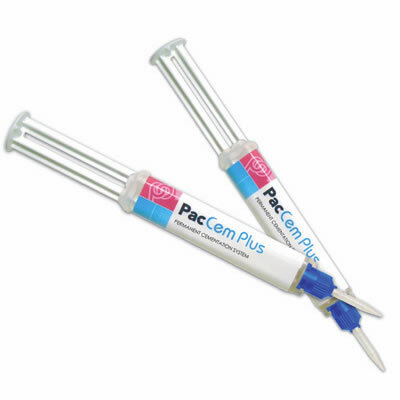 PacCem Plus | Pac-Dent, Inc.
PacCem Plus is a glass ionomer based automix permanent cementation system that is designed primarily for use as a cavity liner and as a cement for orthodontic bands and dental prostheses. PacCem Plus features ease of handling and excellent reproducibility of physical properties and setting characteristics. In addition, PacCem Plus bonds to dentin and offers caries protection thanks to fluoride release.